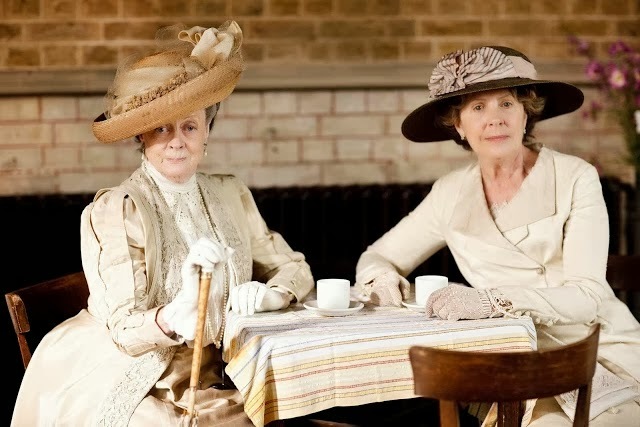 "The only place where it seems to be traditional for ladies to eat or drink with gloved hands is in costume dramas. 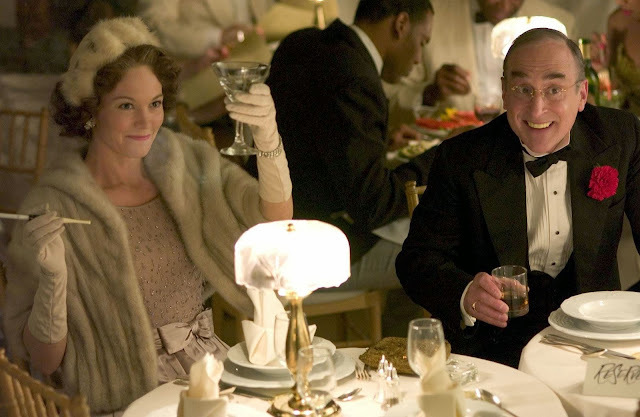 In real life, it was always considered crude, not to mention yucky, but in every period film, television show, play and opera, it is evidently intended to add a touch of what passes for “class.” Miss Manners pities the laborers who were taxed with cleaning those gloves afterward. 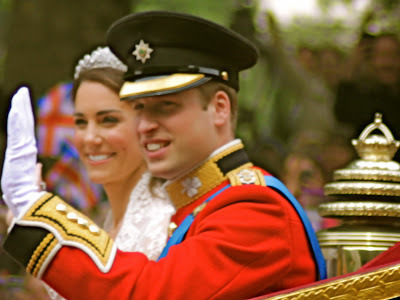 (You are correct that) gloves are worn during dancing, but they had to be removed before touching any refreshments. This was a good argument against drinking when dancing. It would serve Miss Manners right if, after obeying her strict command to remove your gloves, you handed them to her. 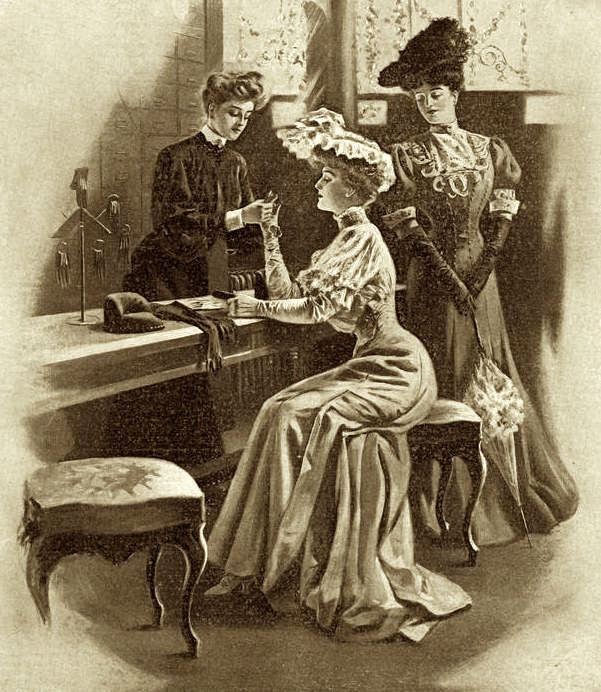 You might reasonably point out that ball dresses unaccountably lack pockets, and are cunningly constructed so that gloves placed on them when the wearer is seated slip off the lap, thus requiring the wearer’s unfortunate dinner partner to crawl under the table to fetch them. Incorrect! 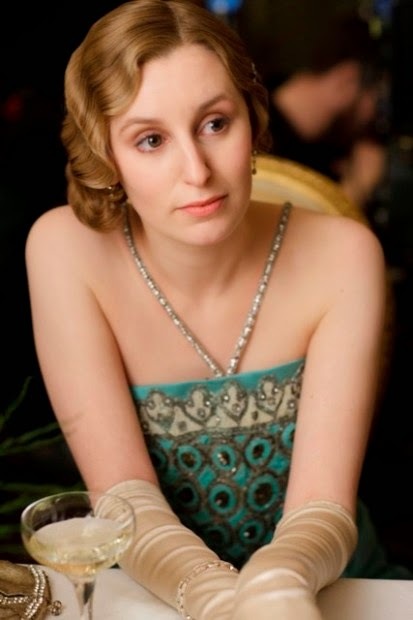 Lady Edith sits at the table with gloved hands and a glass of champagne beside her. A beautiful woman, but the gloves and cigarette, shout, "Tacky!" All in that attempt to add what "passes for class... Two much! Two faux pas for the price of one. Both a cigarette and a drink in gloved hands. Both etiquette "no-nos." Terribly tacky! Gloves that unbutton... for when a woman wants to throw that drink back or gobble some bon bons, without looking "incorrect." A fail. Gloved ones violating etiquette while having tea. 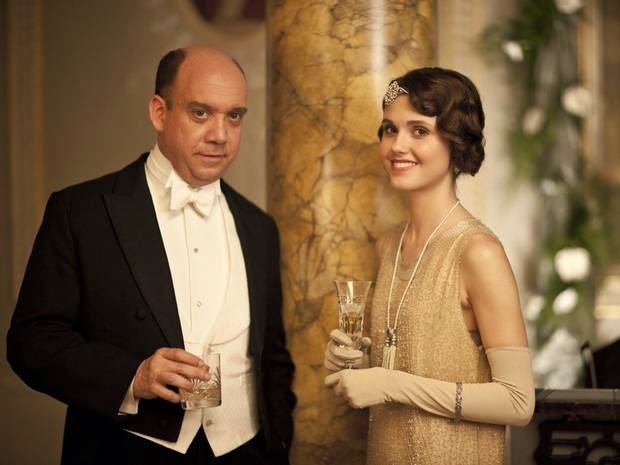 Downton Abbey is a repeat "glove etiquette offender" over its six seasons. It is hard to find examples of someone playing an instrument in gloves, who is not a cartoon character or a cabaret act. So with regard to etiquette, wearing gloves while to playing the piano, is an etiquette "don't." So is not wearing gloves! 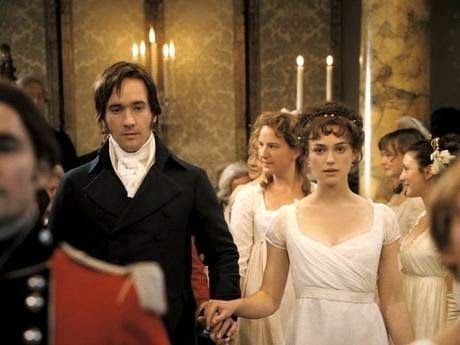 To not wear gloves while dancing in the Regency Era, would find a young woman shunned by "good society."